great anniversary gift idea — Pencil & Paper Co. 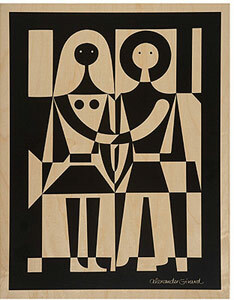 I just spotted this great print from Alexander Girard on Art and Velocity....would have been the perfect anniversary gift for Ben! Maybe next year! I love the idea of buying art to celebrate important events in time! So nice to look at a wonderful piece of art and remember the story behind it!